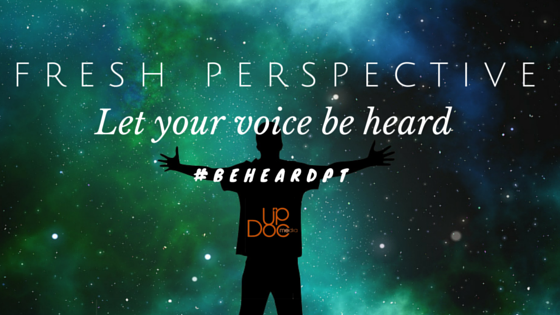 Today, I’m pleased to present our first Fresh Perspective column piece. A piece on a timely and exciting topic: Combined Sections Meeting! 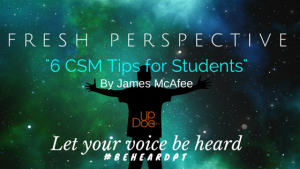 Our contributor today is James McAfee, a #DPTstudent at the University of Southern California with a passion for professional advocacy and #BrandPT. For more about James, please find his bio available at the end of this article. If you’re interested in submitting an article for Fresh Perspectives, please use our form HERE! Talk to strangers –– I know as children we learned the opposite, but CSM is different. All attendees have at least this one thing in common–we are all part of a greater movement forward for our profession. What exactly is waiting for you at CSM this year? Over 11,000 bright and innovative professionals, including (but not limited to) potential mentors, business partners, and lifelong friends. Ask a fellow student about their program. 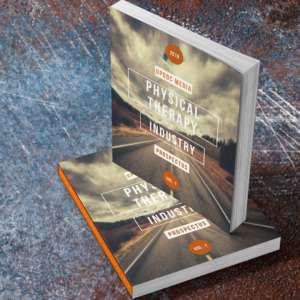 Ask a PT what his/her biggest challenges and goals are for 2016. Come prepared with your own answers to these questions by practicing your personal elevator speech. Marketing ourselves and making personal connections is at the very core of what we do, so bring plenty of business cards and look sharp (#NoPolo). Don’t be afraid to branch off –– If you’re attending with classmates, chances are you already spend an absurd amount of time together. CSM is an opportunity to be a little more extraverted. It is both acceptable and encouraged to be a “one-man wolf pack” to take advantage of everything CSM has to offer. Since cloning ourselves is not yet possible, splitting up can be effective means of covering multiple bases. Divide, conquer, and meet up later with a handful of stories to share. Download the CSM App and join the conversation –– Use the CSM mobile app to plan your attack and choose your agenda. 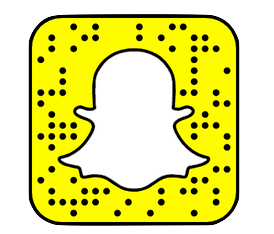 It has everything you need to create a personalized experience. Maps, schedules, program information–all at your fingertips. 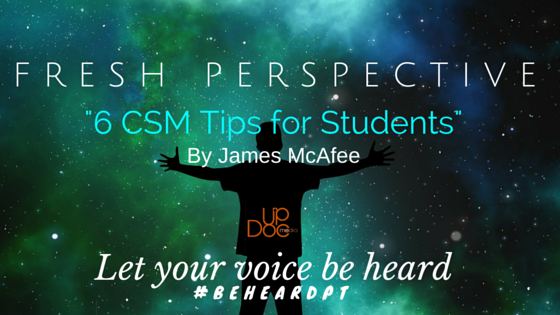 Use the hashtag #APTACSM, grab an #APTAPrezSelfie, and take advantage of our magnified student voice. Do your research –– Since CSM programming covers such a myriad of topics, it’s beneficial to do some research. Consider both the session titles and the speakers themselves. Can’t decide between overlapping events? Do not feel bound to your seat, so feel free to leave quietly. Just be polite about it, and position yourself near the end of a row if possible. Also, don’t forget your preferred note-taking materials. Explore different specialties –– CSM allows you explore and hone in on your interests. All 18 sections of the APTA will have booths, sessions, or meet-and-greets: Acute Care, Cardio-Pulm, Orthopedics, Sports, Neurology, Geriatrics, Pediatrics, Wound Management, Home Health, Education, Private Practice, Research, and more! Have fun and don’t get burned out –– Much like a day at Disneyland, a day at CSM will be lengthy, life-changing, and full of magic. As you lie face-down in a couch or bed somewhere after a long day of PT endeavors, the onset of exhaustion simply indicates that you successfully took full advantage of the CSM experience. CSM is PT Disneyland without the lines. It opens our eyes to the greater PT picture and clarifies our vision of what we want it to look like in the future. It rejuvenates passion for our profession and catalyzes intra-professional collaboration. CSM shows us that we each play an integral role in creating and progressing something larger than ourselves. See you all there! 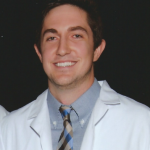 J ames McAfee is a first-year #DPTstudent at University of Southern California. Currently active in the movement to #BrandPT, he serves as a member of the Professional Advocacy Project Committee of the APTA Student Assembly and as an APTA Brand Champion. Find him on Twitter at (@JMcAfeePT) or at jmcafee@usc.edu.